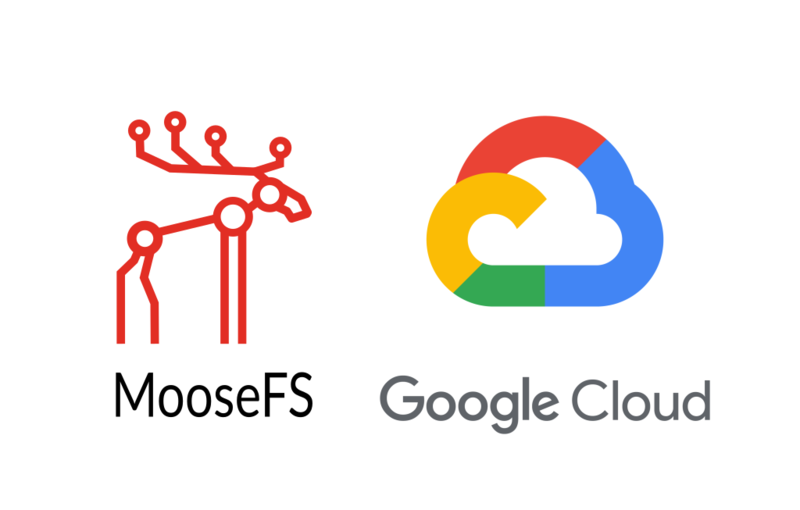 We will use the GCP console to create MooseFS cluster in Google Cloud with the master instance and 3 chunkserver instances. 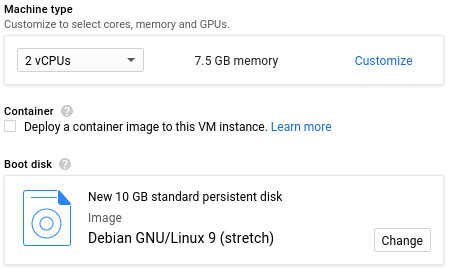 This guide uses Debian GNU/Linux 9 but you can choose Ubuntu 16.04. Set instance name to mfsmaster and choose a region for your machine. Use the same region for all instances in this tutorial to minimize the latency. Add Network tag: moosefs-cgi. This will allow us to add a firewall rule to use MooseFS CGI from the browser. We don’t recommend to automatically start MooseFS Master, so you will need run it manually on every restart. The grid with the goals in Info tab will be empty and after you create some files you will see chunks status there. The default goal is set to 2, so each chunk of the file should be on two servers. If all chunks are in cell 2/2 it means all the files are synced and the cluster is balanced. In Servers tab you will see later the status of your three chunkservers and disk space available. In contrast to the master server, for the chunkserver machines, we will use n1-standard-1 (1 vCPU, 3.75 GB memory) with 100GB SSD disks. Set instance name to chunkserver and choose the very same region as for master server. In this step, we will, similarly as before, install the MooseFS repository. If you want to create chunkserver instance template – don’t start MooseFS Chunkserver process! It will register to Master server and it won’t connect to any other master servers. If you want to create snapshot/image with an autostarting Chunkserver process, turn off MooseFS Master instance, run next two lines and create the image. 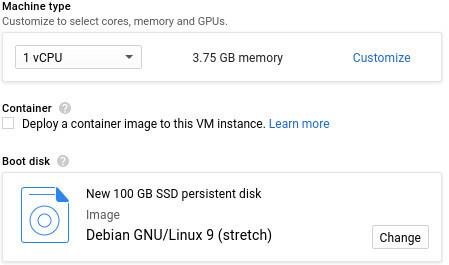 To clone the instance with the disk we will need to create an image of the disk. 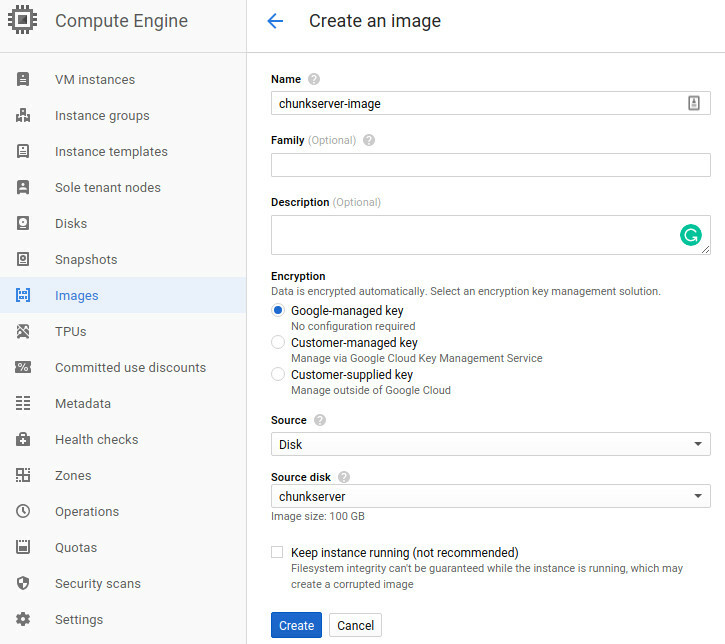 Then we will create an instance template to easily create the next 2 chunkserver instances. To create disk image first stop chunkserver on Compute Engine/VM instances after creating image step run it again. 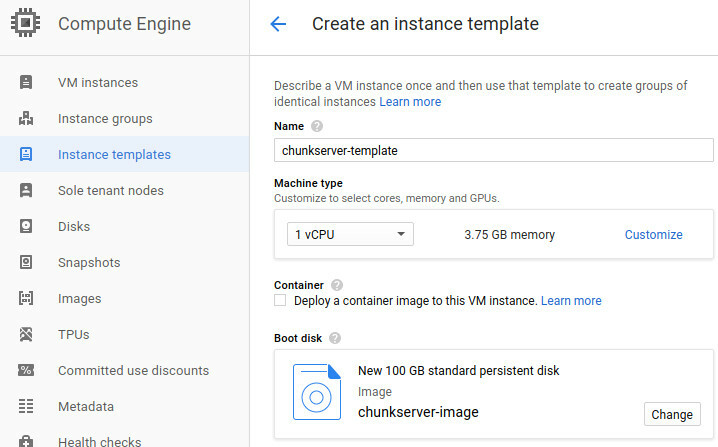 We will create two chunkservers using the instance template. Create chunkserver-1 instance. Choose the same zone as before because of low latency. And create another instance chunkserver-2 in the same zone as before. As a result, you should be able to see 3 chunkservers and master machine. We will check MooseFS status after adding two chunkservers. You should now be able to mount MooseFS, so we will create /mnt/moosefs directory and mount storage there. You can shut down one of the chunkservers to see how MooseFS will react. You should be able to see that some of the chunks are now only on one of the servers. These chunks are labeled as undergoal because they are in fewer instances than the goal. The server will be temporarily flagged as in maintenance – you can remove server completely in Servers tab to start the data replication process. 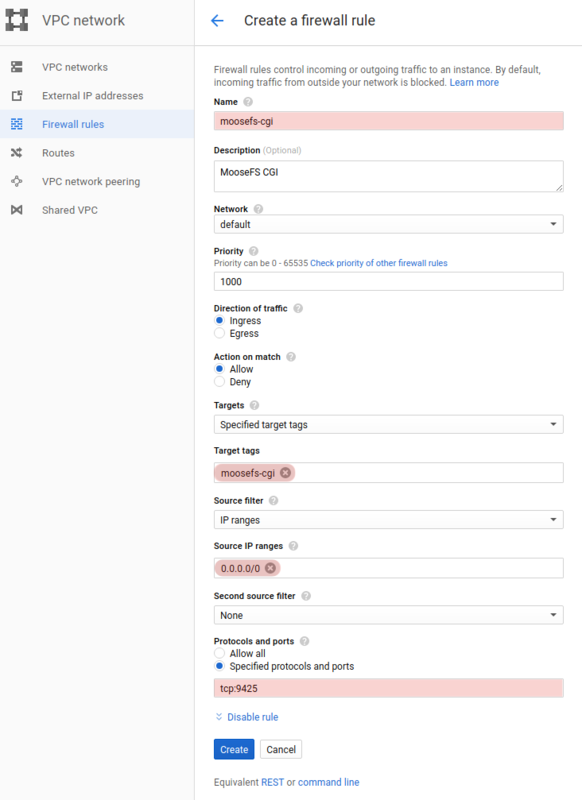 You just learn how to easily set up the MooseFS cluster in Google Cloud! Now you can check the best practices for maximum performance or how to train neural networks using Tensorflow and MooseFS!